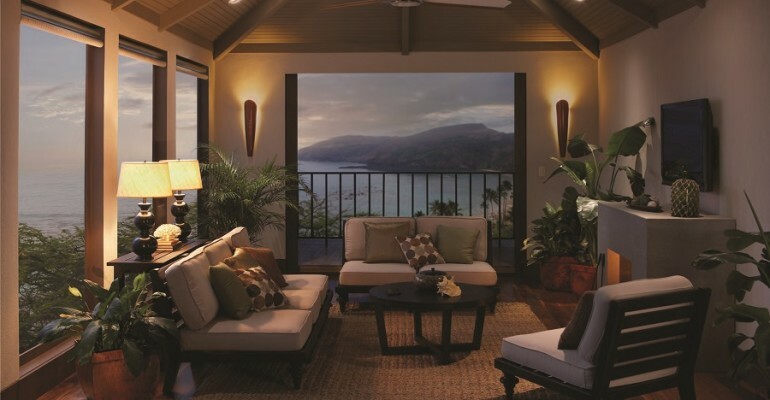 Keep reading below to learn how your motorized shades can specifically complement any individual room’s design and make the most of your home’s views – especially if you own an oceanfront property. Adding automated window shades into your home isn’t as generalized as installing a one-size-fits-all solution. Motorized shades come in a variety of styles and patterns, and that means you can find just the right type for any designated room. But to decide what kind of shades you want, it’s vital you think about what your room needs. If you want a more minimalistic and modern feel to a space – like your bedroom, media room, and home theater – you might prefer roller shades, that come in both sheer or blackout fabrics, depending on the use you’re getting out of it. For that same style that blends in well with existing décor or so you don’t detract from an already bustling interior design, roman shades are also a great choice. Roman shades feature an understated elegance from their layered design (similar to drapery); differing from the single roll of roller shades. Are you wanting to prioritize keeping your home warm or cool during the changing seasons? Consider honeycomb shades that have a built-in pleated design meant to create “air pockets” within the shades themselves. This provides quality insulation for windows of any size and lets you choose fabrics from multiple patterns and colors. You’ll be able to set up and design your space how you planned – with your shades elevating the area and bringing the necessary conveniences to it as well. So, maybe enhancing your room’s interior design with shades is on your list, but so is maintaining the gorgeous view your wide windows provide on a daily basis. Why not have both? By installing sheer roller shades, you can keep your privacy while still getting an excellent view through the glass. Sip your coffee and take in the early morning risers from your kitchen table windows, or grab a book and every so often catch the scenic view from your sitting room. You can choose shade colors that complement your desired room’s design and style. Plus, include any delicate artwork or furniture in the space, your shades will block out harmful long-term exposure to UV rays so that your valuables stay well-protected. With your property right on the Pacific Ocean, you don’t want to miss out on the everyday sights and scenes your view has to offer. Use your smartphone or an in-wall keypad to control your shades instead of unnecessarily dealing with unattractive and troublesome drawstrings. Even create automated shading schedules that allow you to make the most of your view. Want to learn more about choosing the right motorized shades for your home in the Redondo Beach area? Feel free to give us a call or fill out our online contact form to schedule a no-obligation consultation with us. Our team would love to hear from you!